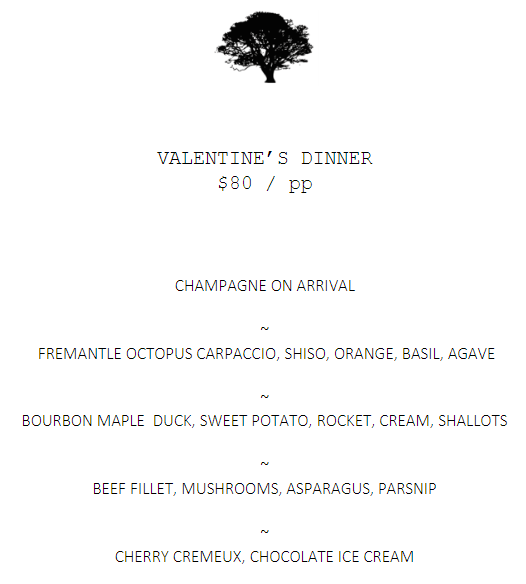 Valentine’s is upon us, come and enjoy a romantic candle-lit dinner with four courses and champagne upon arrival. We have limited spaces available, click here to book online. We are doing a 6pm and 8pm sitting. If booking a 6pm sitting please be aware we may require your table back for the 8pm sitting. We look forward to making it a memorable occasion for you!